Allen Fly Fishing once again has teamed up with the artistic talents of Eric Hornung, this time to bring you a unique, hand-drawn design in support of Bristol Bay. Each shirt purchased will raise funds for the Trout Unlimited effort to protect this precious resource. 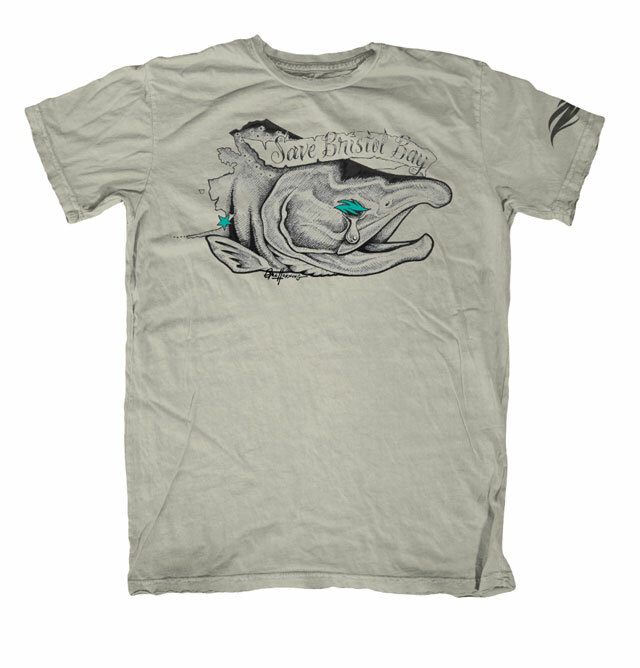 Buy the “Save Bristol Bay” T-shirt here. Part of Allen Fly Fishing’s new artist series, the new shirt raises money to help protect this precious resource from the massive Pebble Mine project that threatens crucial salmon runs. It features the work of New Jersey artist Eric Hornung. Allen Fly Fishing is a manufacturer of fly fishing reels, rods, and hooks. Eric Hornung is a passionate artist and fly fisherman known best for his work as a tattoo artist in Northern New Jersey. Eric specializes in fishing art and tattoos, giving him his own uniquely inspired style. To lean more about the proposed Pebble Mine and how to protect Bristol Bay see www.savebristolbay.org.